ASTRA Construction’s goal is to make your renovation construction run smoothly so you can concentrate on growing your business instead. We recognize commercial renovation timeliness are strict and impact your bottom line. ASTRA Construction is proud of our reputation for completing projects on time and on budget. We work extensively with large property-management companies to improve tenant spaces. Our projects have included some of the largest and most recognizable tenant buildings in Calgary. ASTRA Construction provides retail build-outs. Retailers often work in restrictive spaces. ASTRA offers solutions to reconfigure these spaces with designs that are both aesthetically distinct and practical, giving your customers a stylish experience while your staff enjoys a practical layout. Calgary-based ASTRA Construction offers extensive office rejuvenation, rebuild, and commercial renovation services, turning bland, uninspired, and impractical designs into inspired and functional spaces for your Calgary company. 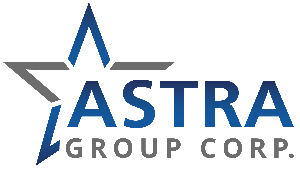 Are you the owner of Astra Group?